I'm attempting to develop a workflow that will edit a list item. I need the workflow to be able to be initiated by users with read-only permissions. As of now the users receive a "This site has not been shared with you" error. When we use workflow with "impersonation step", the workflow will be running under the account of "workflow creator" instead of the user trigger the workflow. To initial a workflow, the user need edit permission at least. I recommend you give the user edit permission. Not the answer you're looking for? Browse other questions tagged sharepoint-enterprise sharepoint-designer sharepoint-server sharepoint-foundation sharepoint-addin or ask your own question. 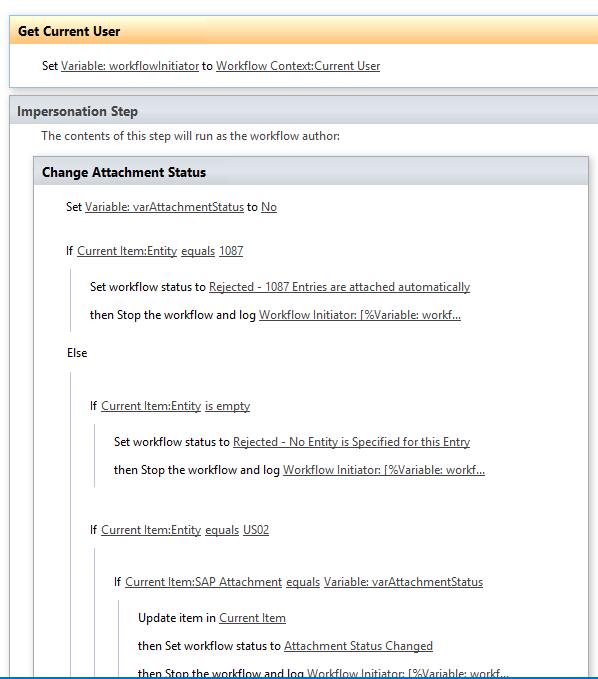 By publishing this workflow, conditions and actions inside imprsonation stesp will run using your credentials.